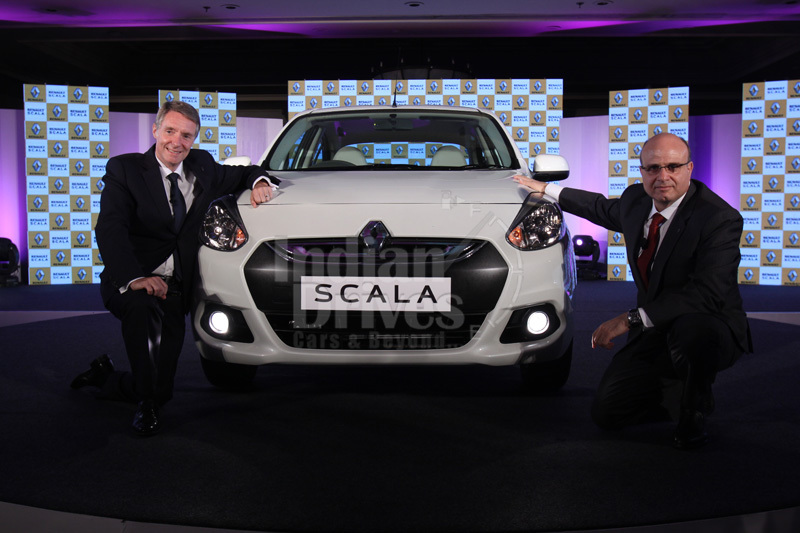 Just like the RxE variant of petrol driven Scala sedan, Renault now had silently rolled out RxE version of diesel at Rs. 8.29 lakh (ex showroom Delhi). As said, ‘it is rolled out silently’, hence this piece of news is also not updated on the official website of carmaker. RxE trim is learnt to be cheaper by Rs. 50,000 than the mid-level RxL diesel variant. Though many of the bits hadn’t been updated but we hope almost similar cues to be drawn from that of the petrol based RxE bud. On comparing with the mid-level diesel, we came to know the newbie to do only with single airbag, AC, vanity mirrors for the rear passengers, internally adjustable mirrors and wheel caps instead of wheel alloys. However, no technical changes seems, we say the same 1.5 liter K9K diesel jag to drive this bug for a good 85PS of maximum power and also the 200Nm of peak torque, being carried through the front wheel drive and a five speed manual gearbox.